Being that my favourite colour is pink, yes that's correct. 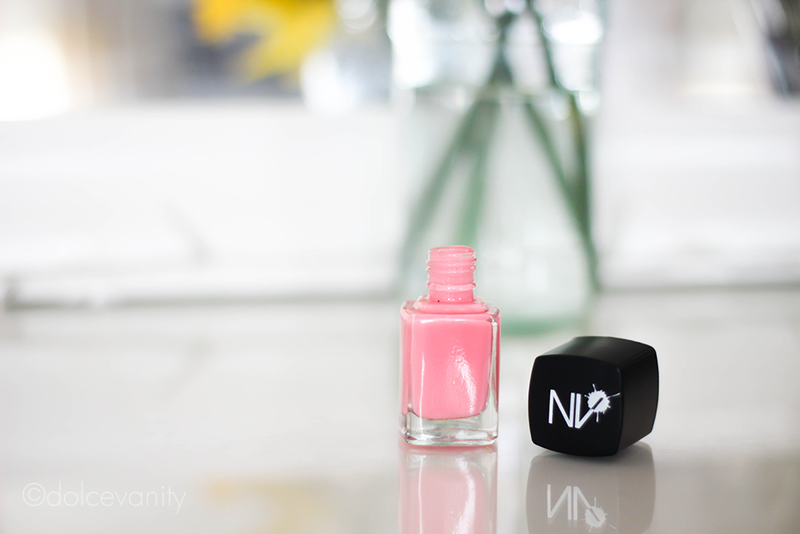 My favourite colour is pink, I decided to try NV Peekaboo, there's something about the colour that made me want to see it in person and I adore it. This creme polish with a glossy finish is lovely. I did two coats but my nails were inconsistent with streaks, so I did three that covered well and gave a good look for the photo too. It's girlie and reminds me of bubblegum - perfect! I don't mind polishes that have a bulky handle, as I know for some it can be a hassle but I never seem to notice from thin to thick, go figure but what I did notice, is the colour name isn't included anywhere on the bottle, that could be an issue if I built up a collection and wanted to know the shade. Apart from that, for £3.50 I'm sure to check out more of the collection.